The philosopher and physician Abû ‘Alî al-Husayn ibn ‘Abdallâh ibn Sînâ (d. 1037 c.e. ), known in the West by his Latinized name Avicenna, was one of the most influential thinkers of the Islamic and European Middle Ages. Yet for a great number of scholars today Avicenna’s thought remains inaccessible. Because he wrote almost all his works in Arabic, Avicenna seems remote to historians of medieval European philosophy who are able to read only the Latin translations of those works. And because he expresses his subtle and complex ideas in the technical terminology of Aristotelianism and Neoplatonism, Avicenna seems remote to Islamicists who have little or no background in the history of ancient and late-antique philosophy. 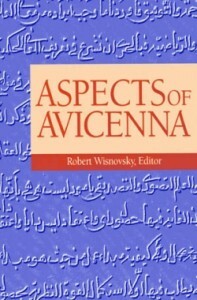 By addressing some of the most fundamental issues in Avicenna’s psychology, epistemology, natural philosophy, and metaphysics, the contributors to this book hope to make Avicenna’s thought more accessible to Latinists and Islamicists alike. After a brief preface, there are sections on Avicenna’s theories of intuition and abstraction, and on his ideas about bodies and matter. Also catalogued in this volume for the first time is a large hoard of photostats of Avicenna manuscripts recently uncovered at the American Research Center in Egypt. The contributors include Dimitri Gutas (Yale University); Dag Hasse (University of Würzburg); Abraham Stone (University of Chicago); and David Reisman (University of Illinois at Chicago). Robert Wisnovsky is Associate Professor of Islamic Intellectual History at McGill University, where he teaches Islamic philosophy and theology and Classical Arabic. He is the author of Avicenna’s Metaphysics in Context.